Courtesy of JB Goodwin, REALTORS, Sheree Nelson. Stunning Hill Country Living on 2.65 acres. Completely remodeled in 2015. Grand entry w/open concept, gourmet kitchen w/gas cooktop, custom cabinets, large granite island. Formal dining/living. Master suite w/2-way fireplace, luxurious en-suite w/dual closets, vanities, & toilets, private balcony & fire escape. 2 large bedrooms upstairs w/private baths. Experience stunning views. Large bedroom w/private bath downstairs. Large media room w/surround sound. Pool & separate 1392 sq ft guest house w/kit & bath. Please, send me more information on this property: MLS# 1352548 – $1,175,000 – 4308 Wind Valley, San Antonio, TX 78261. 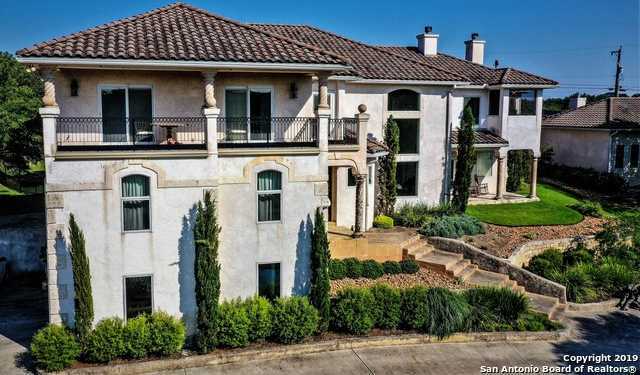 I would like to schedule a private showing for this property: MLS# 1352548 – $1,175,000 – 4308 Wind Valley, San Antonio, TX 78261.